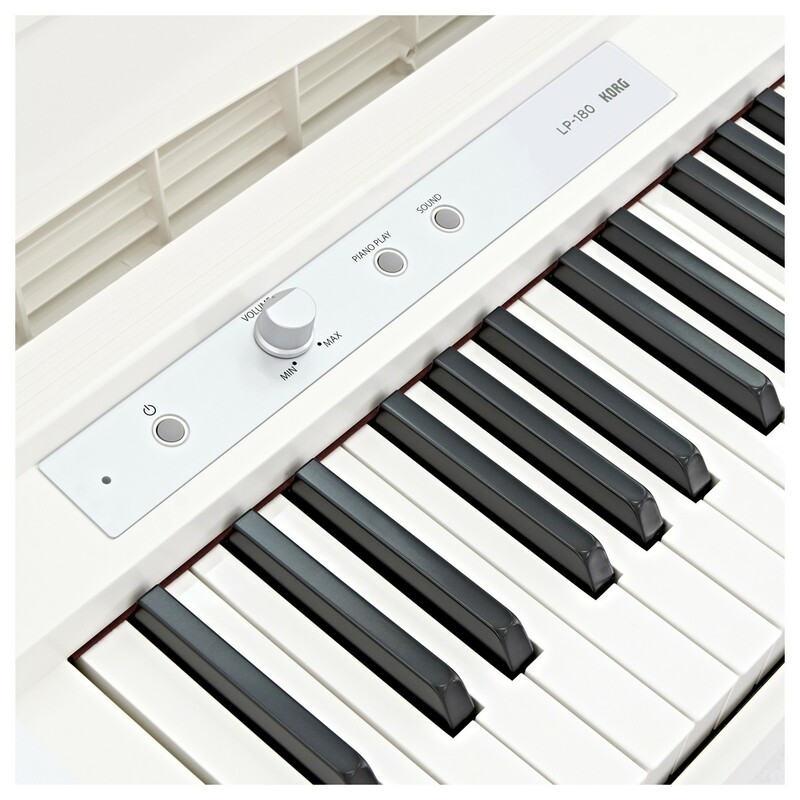 The Korg LP-180 Digital Piano, White with Stool + Headphones provides you with a great setup for practising at home. The LP-180 offers beautifully rich piano sounds with natural weighted hammer action keys for a truly traditional piano feel, as well as high-quality reverb and chorus effects for adding that final touch to your sound. LP-180 also comes standard with the same three-pedal unit as an acoustic piano, allowing you to express the nuances of acoustic piano. The Korg LP-180 is a high-end digital piano designed for everyone from aspiring piano players to professionals. The thing that sets the LP-180 apart from conventional digital pianos is the unique Natural Weighted Hammer Action keyboard. This innovative design delivers the touch and feel of a traditional piano, providing accurately weighted keys. The premium-grade keybed provides a heavier touch in the lower ranges, whilst becoming lighter in the higher registers, emulating the behavior of a traditional piano. Key Touch Control provides added customisation, allowing you to control the keyboard's response to match to any playing style. Utilising years of sound design expertise, Korg has included 10 rich and varied sounds in the LP-180. The sounds range from the traditional grand piano sound to electric piano, vibraphone, pipe organ and even string sounds. The varied sound palette allows you to play pieces with different instruments for added versatility. As well as the varying sounds, the LP-180 also includes premium-grade Reverb and Chorus effects. The high-end effects add depth and space to your sounds, ideal for providing added expression to your musical pieces. 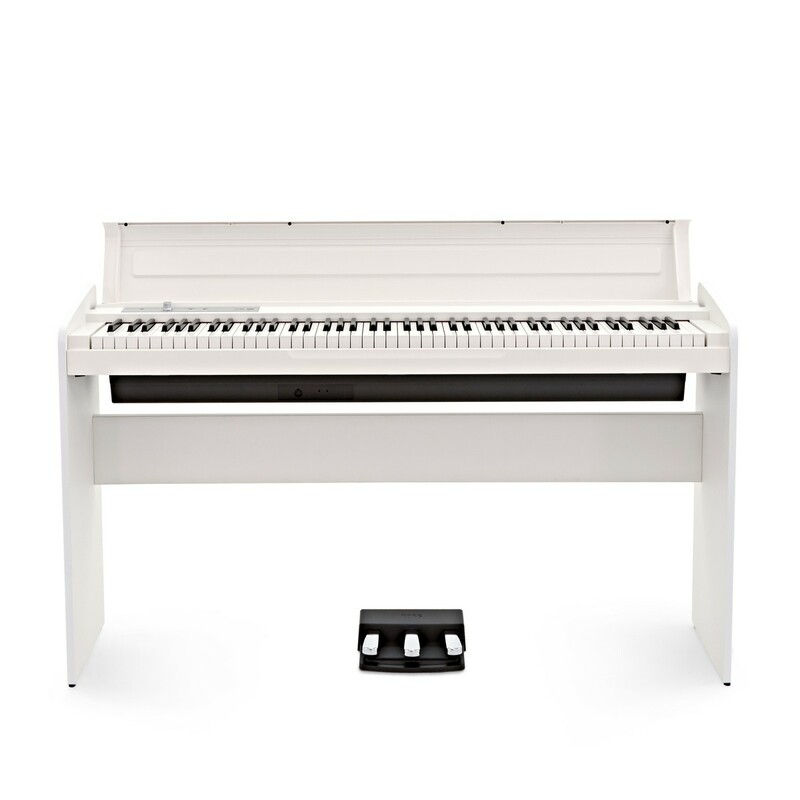 Building on the expressive natural weighted hammer action keybed, the LP-180 boasts a three-pedal unit for classic piano performance. The three-pedal design emulates the same three-pedal unit found on an acoustic piano. The pedals are comprised of damper, soft and sostenuto. This provides added expression, allowing you add subtle nuances to your sound that will impact the overall sound. 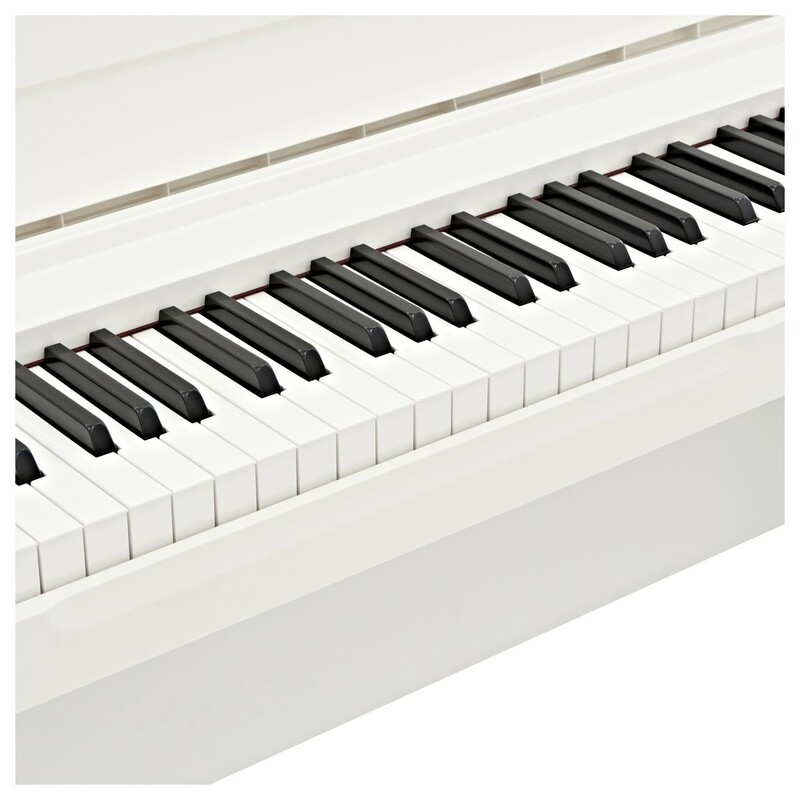 The digital piano even includes two headphones jacks, which are not only perfect for practicing in peace but can be useful for lessons at home. The slim yet stylish design measures at 27 centimeters in depth, resulting in a compact size that will fit neatly into any room. The unit also comes complete with a high-quality keyboard cover, helping to keep your instrument free from dust and dirt when not in use. 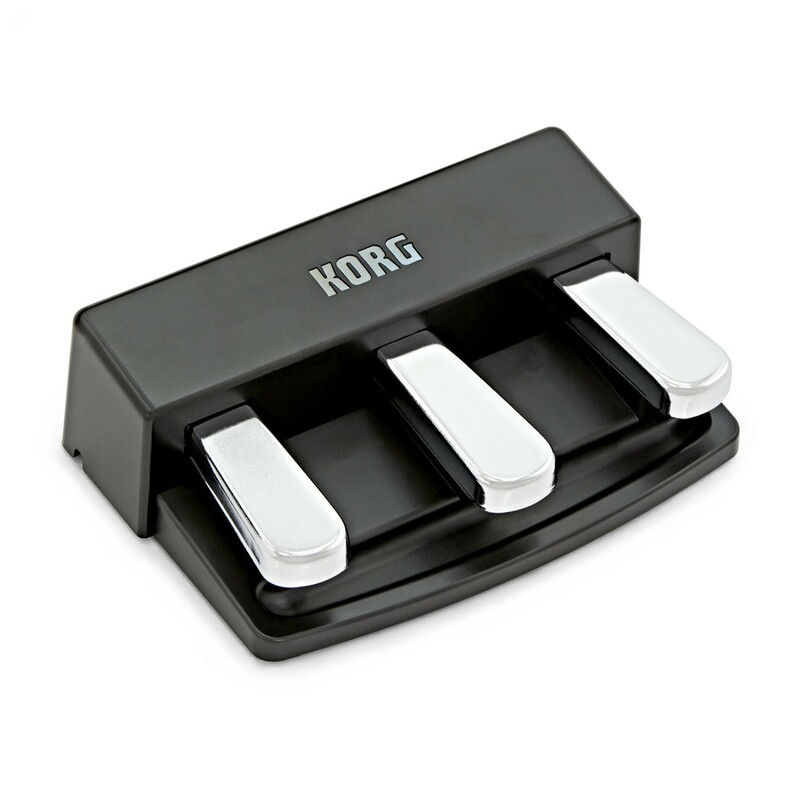 The simple yet elegant design provides a highly stable stand as well as a MIDI output for added compatibility. Additionally, the LP-180 comes complete with an ac adapter, stand, pedal unit and pedal cord. The HP-210 Stereo Headphones by Gear4music can be used for a wide variety of audio applications including instrument play, studio and live work, or as general purpose headphones. 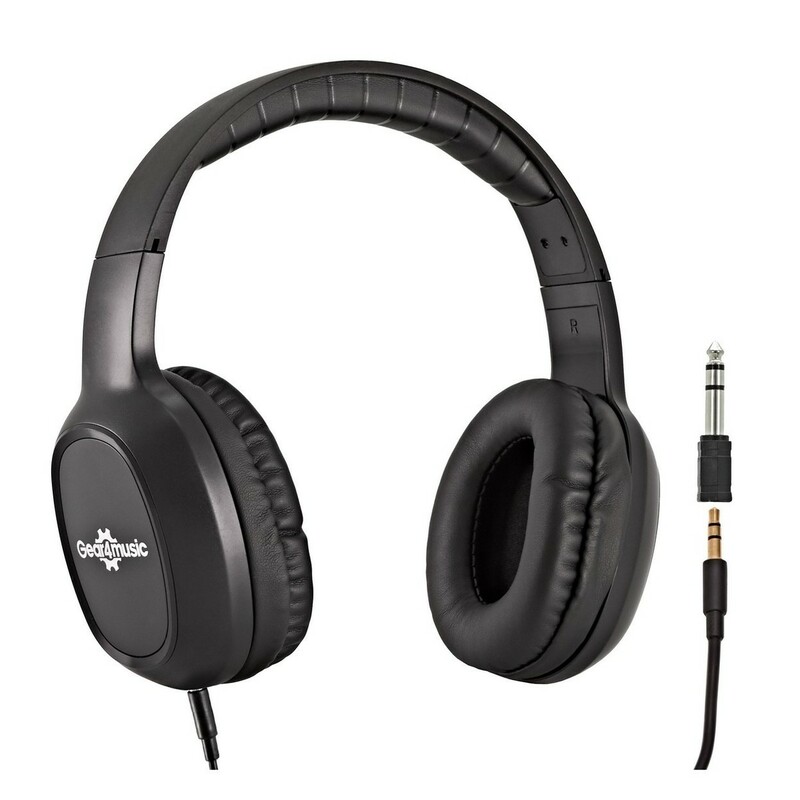 These headphones have an adjustable headband and come with a mini jack connection and a 1/4'' jack adapter to allow connection to a wide variety of equipment. This Adjustable Keyboard Bench by Gear4music provides comfort and stability whilst you play. 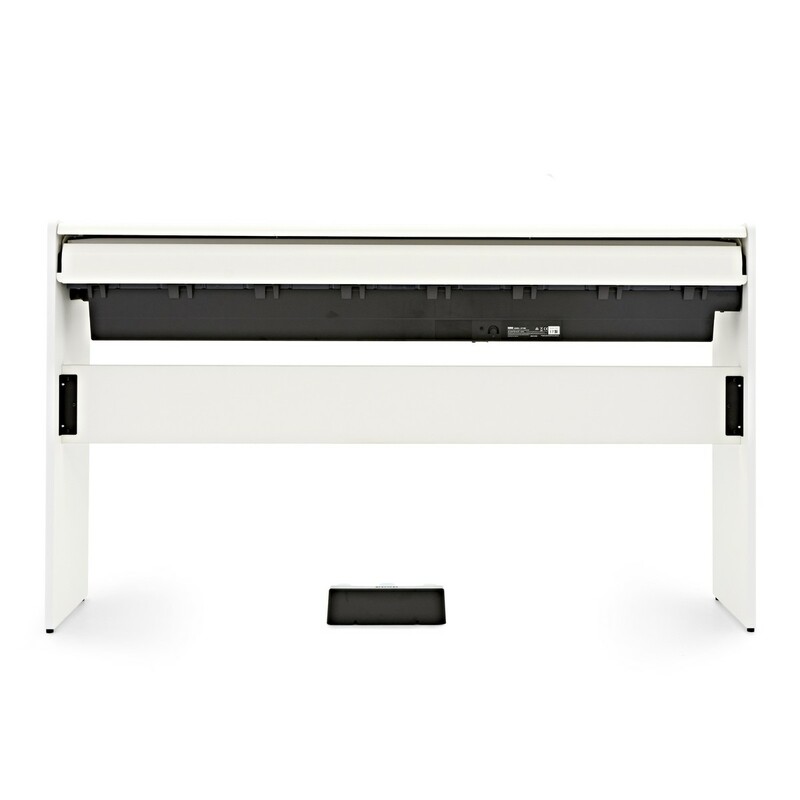 The bench folds flat for storage and is height adjustable between 45 and 50cm. A soft, black comfortable top is held by two X-design sturdy legs. Protective rubber foot ends prevent slipping and protect your floor's surface.